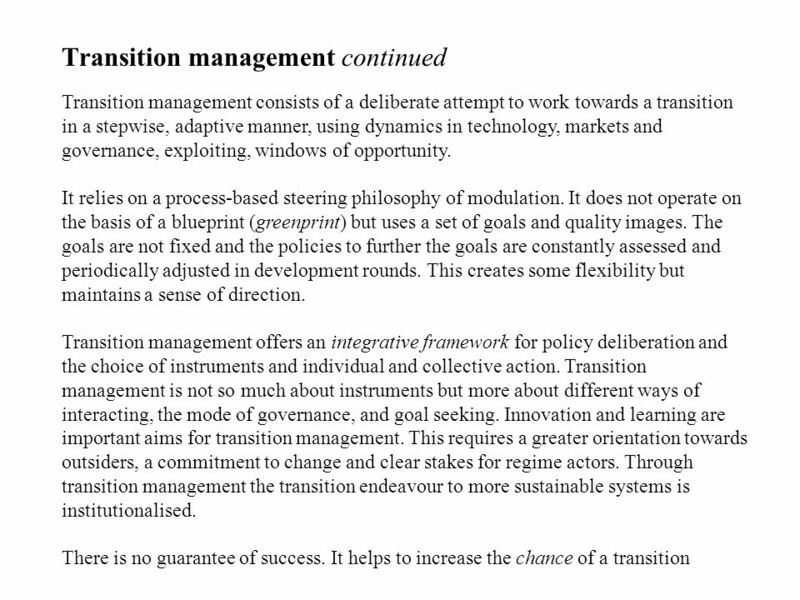 11 Possibilities for system coordination are limited. 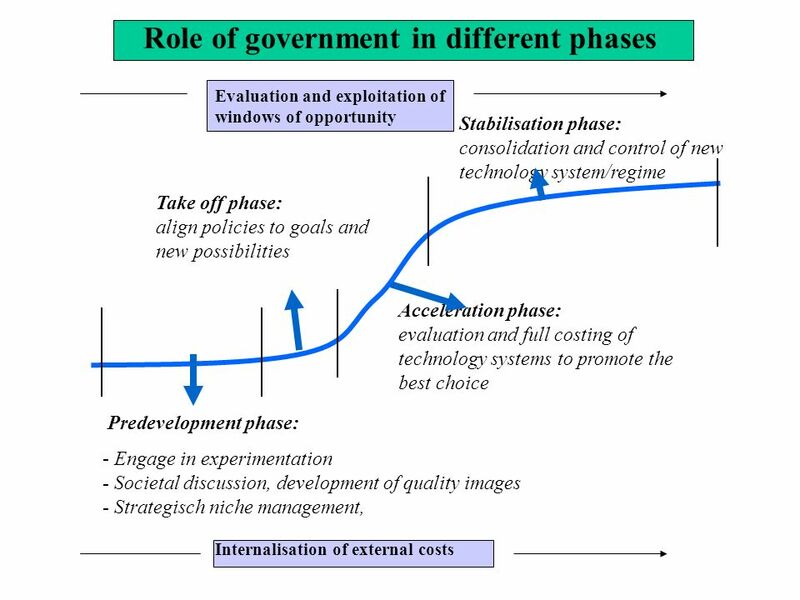 All what government agencies can aspire to achieve is increased coherence. 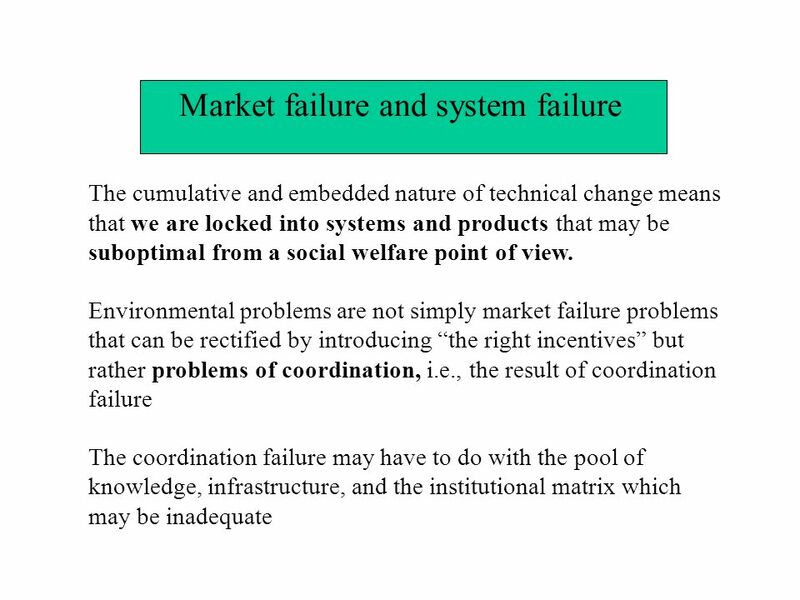 Sociotechnical systems defy control because they are collective outcomes, not collective choices. 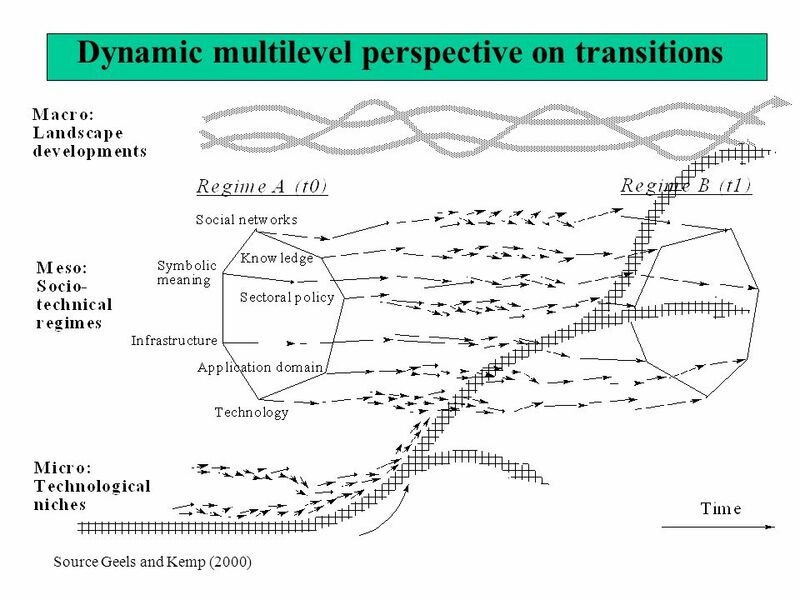 Innovations are part of trajectories and shaped by social, organizational and techno-economic factors. 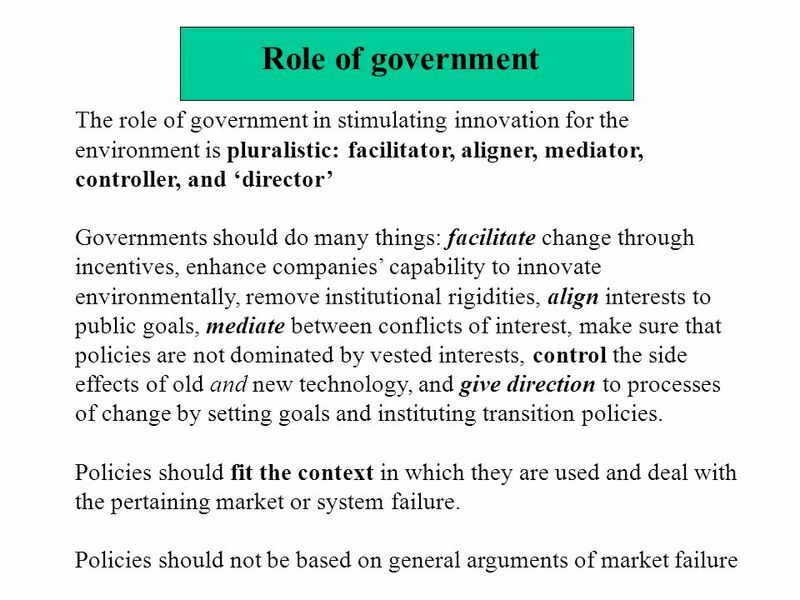 Historically however public policy is found to be important to radical innovation through its science and technology policy and by creating a first market (often military) for radical innovation, which suggests the use of technological missions but missions may create monsters or suboptimal solutions. 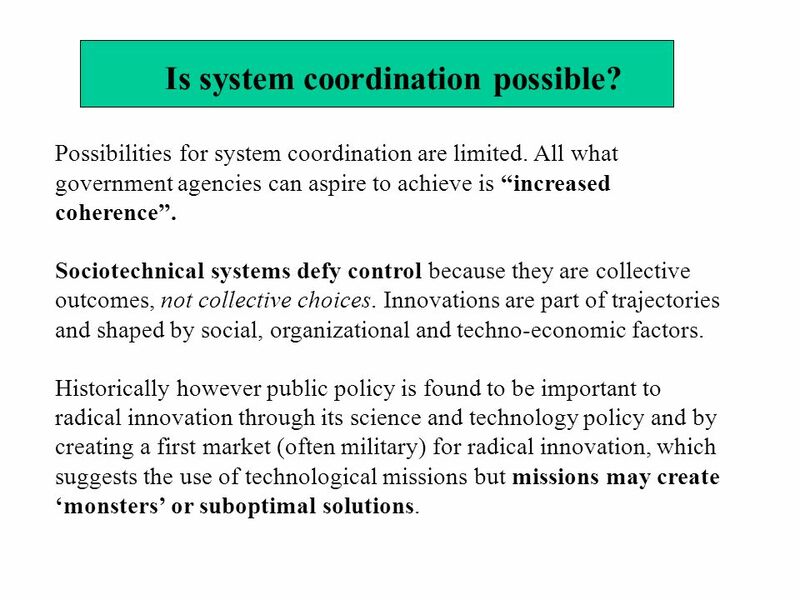 Is system coordination possible? 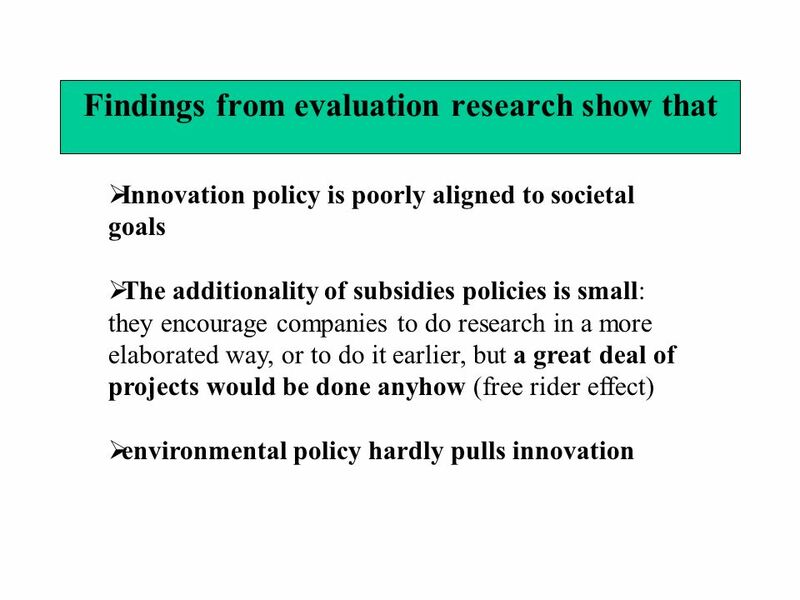 Download ppt "Paper for 6 Countries Programme conference Innovation Policy and Sustainable development: How can innovation policy incentives make a difference? 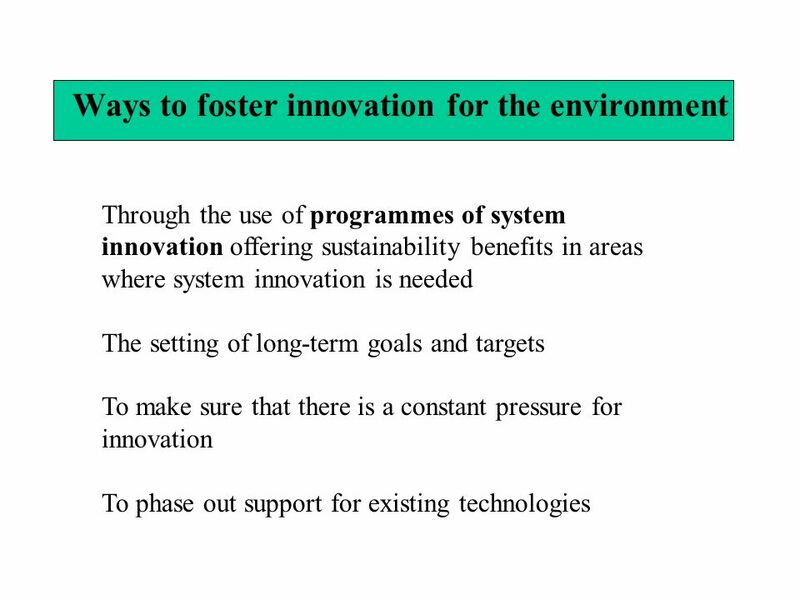 Brussels,"
Department of Environment, Technology and Social Studies, Roskilde University, Denmark Green Innovation Integrating environmental and technology policies. Session I: Technology, Trade and Growth-lessons of Experiences Session I: Technology, Trade and Growth-lessons of Experiences Issues related to technology. 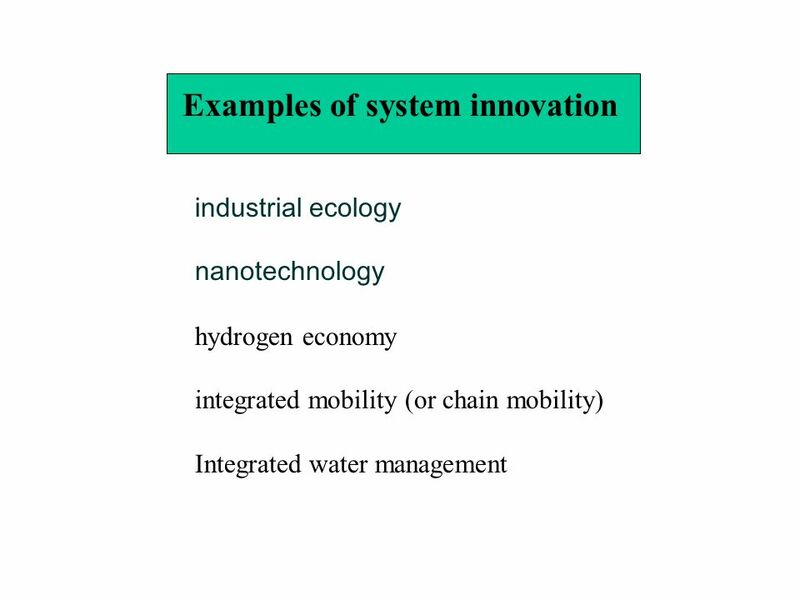 J. David Tàbara Institute of Environmental Science and Technology Autonomous University of Barcelona Integrated Climate Governance. 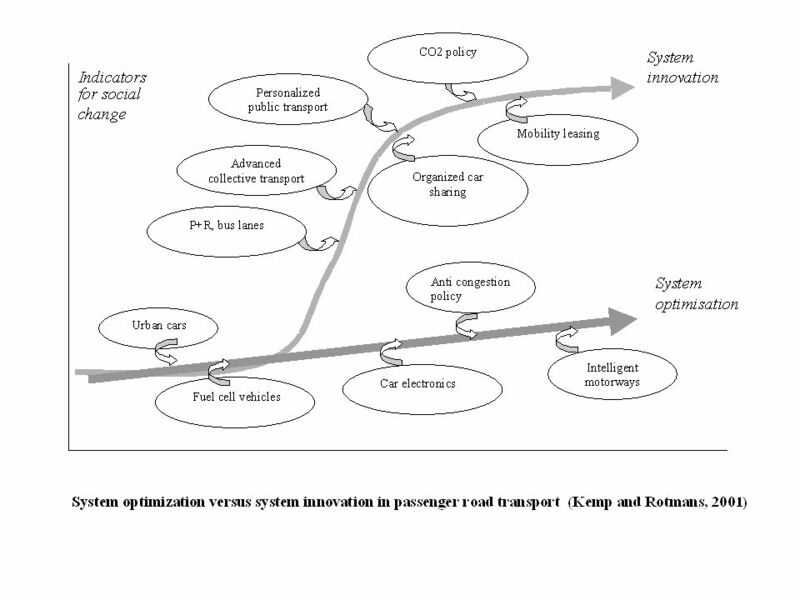 INNOVATION POLICY ROADMAPPING AS A SYSTEMIC INSTRUMENT FOR POLICY DESIGN Ahlqvist, Toni, Valovirta, Ville & Loikkanen, Torsti VTT Technical Research Centre. 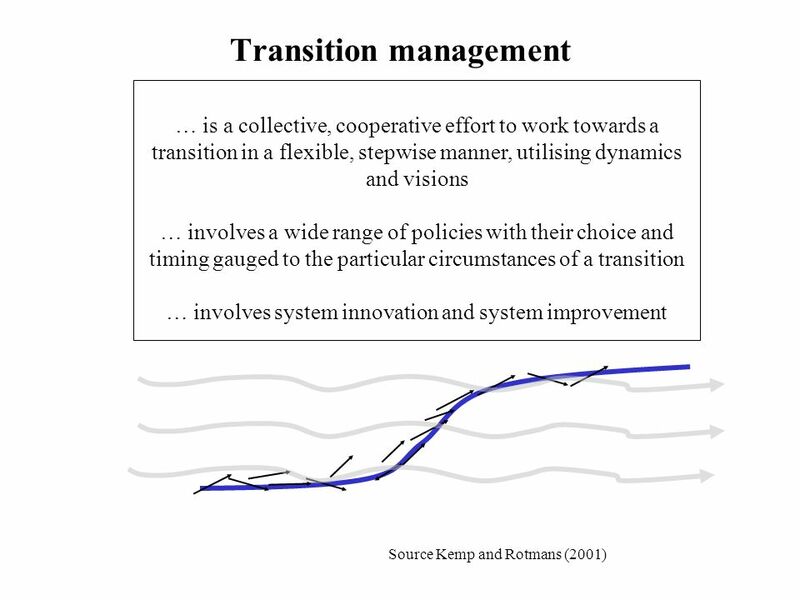 Managing sustainability transitions The Dutch Energy transition René Kemp Presentation at SDRN meeting London, 22 Sept, 2004 MERIT & DRIFT. 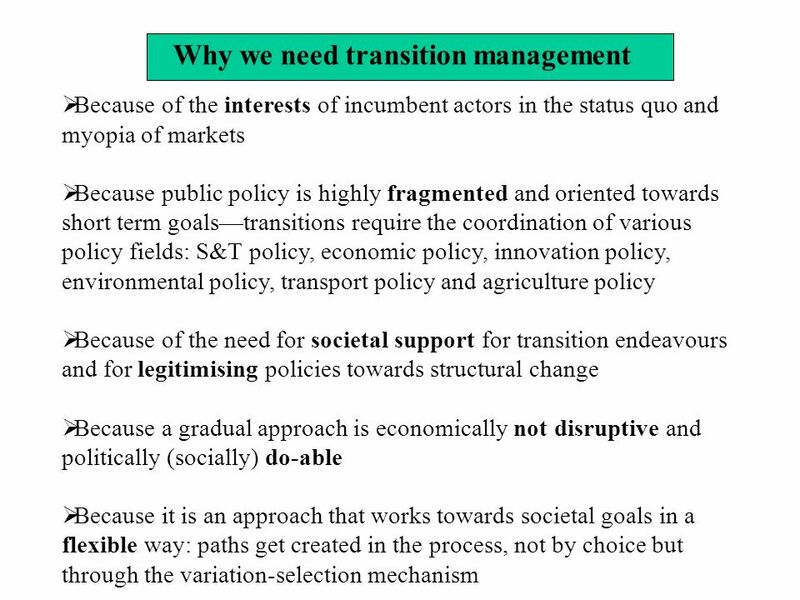 Cohesion policies: place based approach. 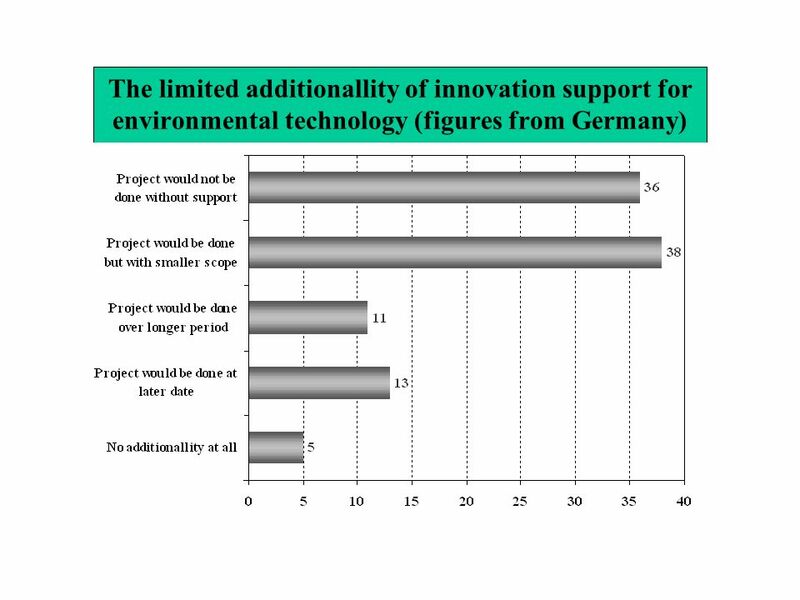 Cohesion policy: a controversial issue Cohesion policy is an highly controversial issue Who pays for cohesion. 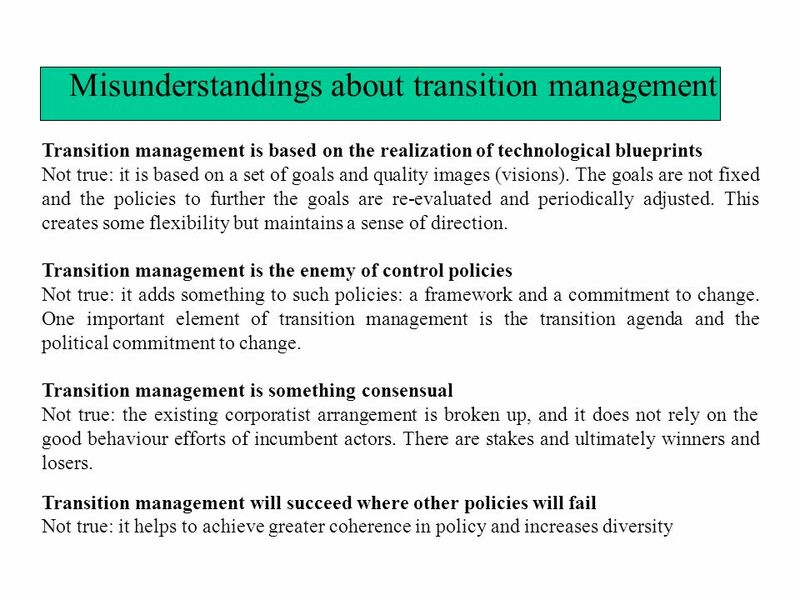 Achieving Turnaround in Fragile States Andrew Rosser Institute of Development Studies. 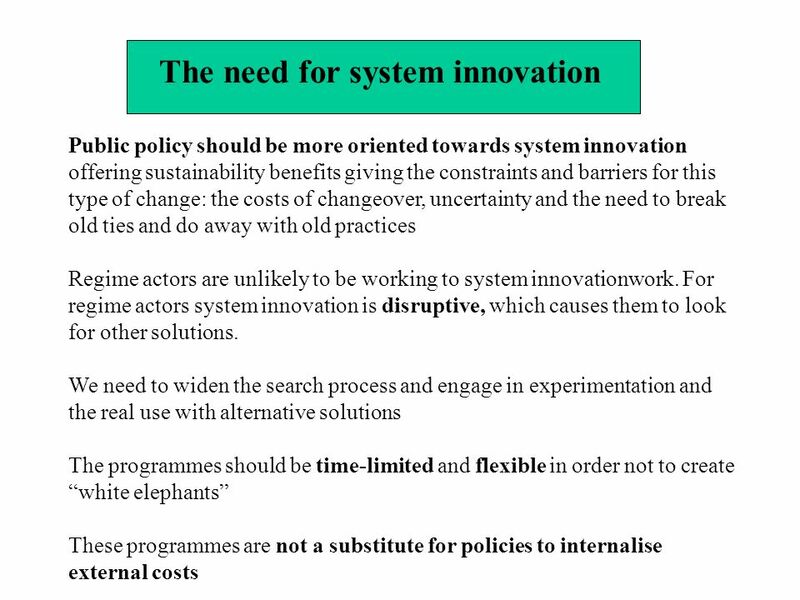 Scaling-up Innovations in Public Health Nancy Edwards Professor, University of Ottawa, Scientific Director, Institute of Population and Public Health Canadian. 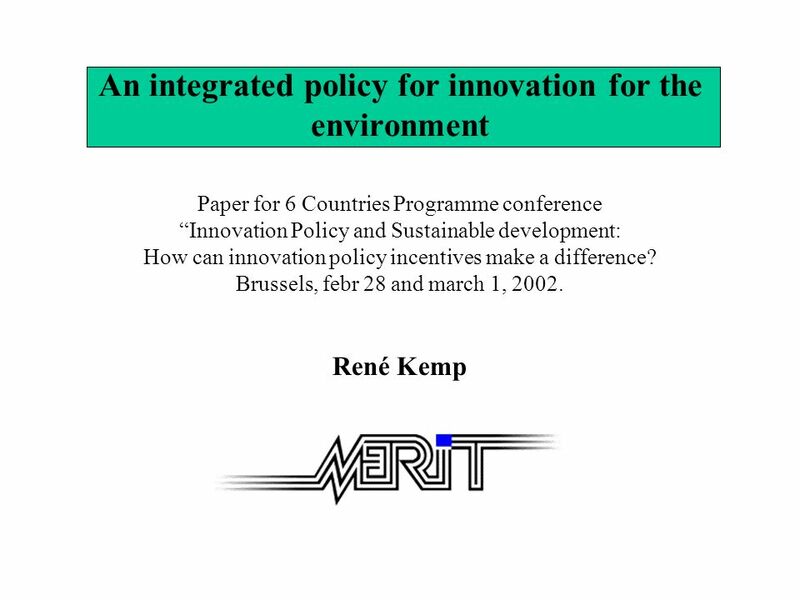 Goal-oriented modulation as a model for dealing with problems of sustainable development René Kemp UNU-MERIT, ICIS & DRIFT. 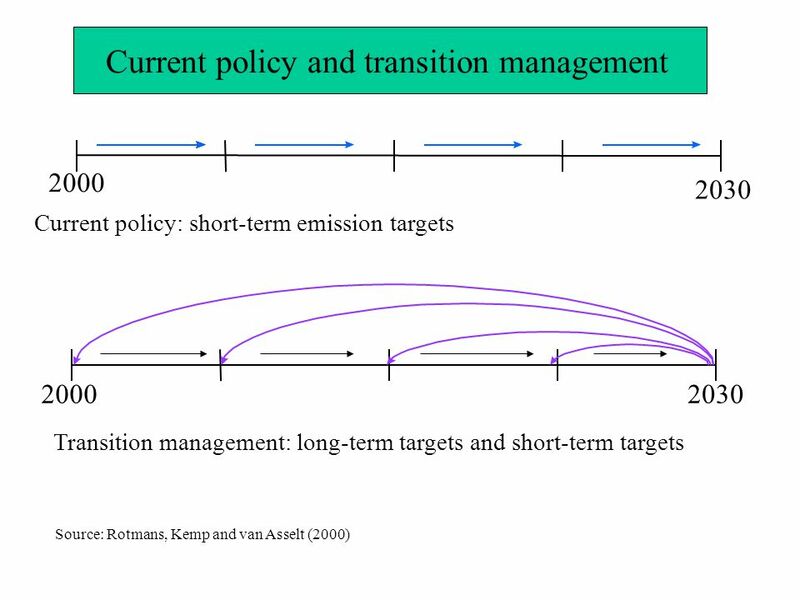 COMPETITION POLICY AND ECONOMIC DEVELOPMENT PRESENTATION AT CUTS-ARC CAPACITY BUILDING WORKSHOP, LUSAKA 7 TH MARCH, 2011 BY SAJEEV NAIR, COMPETITION POLICY. 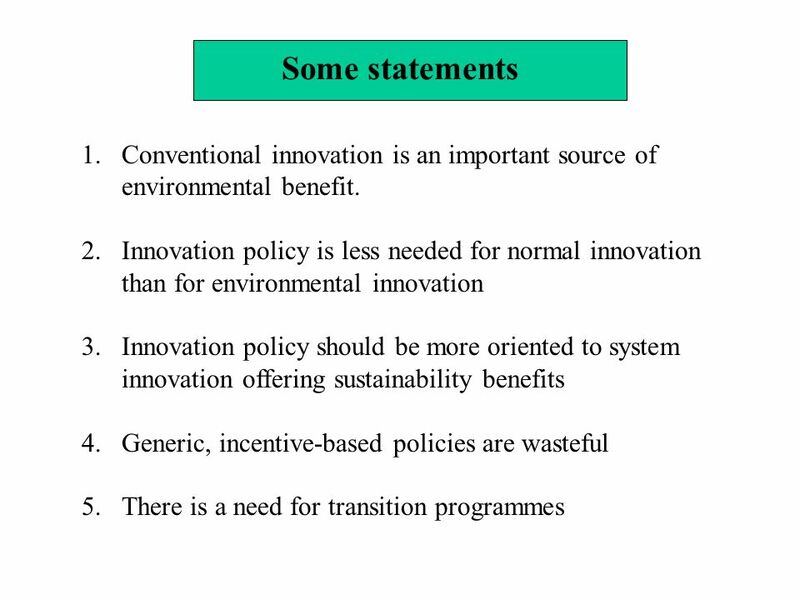 Technology and Environmental Policy: Innovation Effects of Past Policies and Suggestions for Improvement René Kemp Innovation and Technology Transfer Perform. 1. اسفند1386 1. 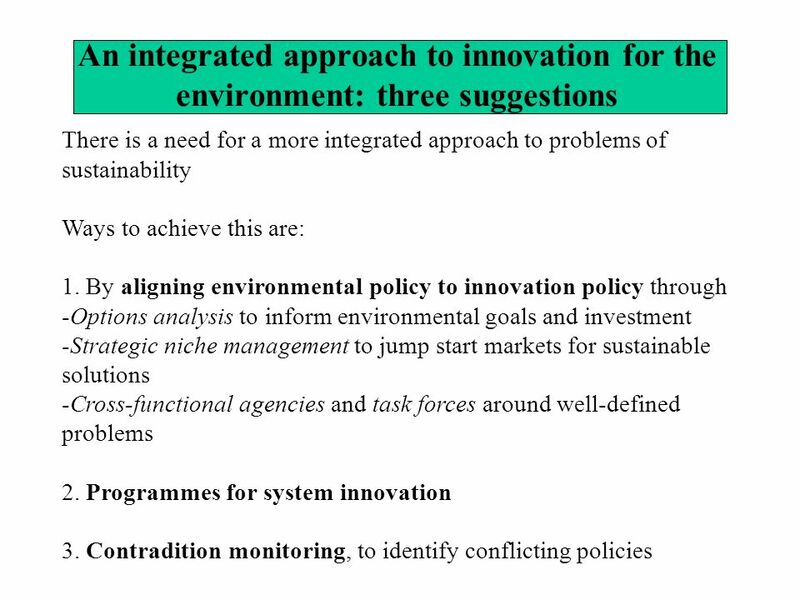 AIM OF UNIDO CLUSTER APPROACH UNIDO POGRAMME PROMOTES DIALOGUE AND COOPERATION BY: HELPING STAKEHOLDERS DEVELOP A CONSENSUS-BASED VISION.